Billy Philadelphia is one of those rare performers who is equally at home on stage or behind the scenes. 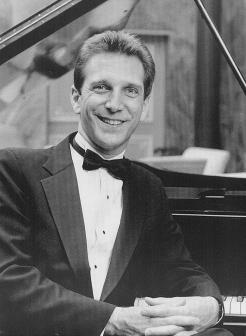 He has been Musical Director for several Bay Area television shows including a year and a half on KRON-TV's SFO with Steve Jamison (for which Billy wrote and recorded the theme song), over 60 appearances on KGO-TV's AM San Francisco, and numerous shows with Bill Raferty on Good Time Cafe, last seen nationwide on A&E. On these shows he had the opportunity to accompany such artists as Andy Williams, Nell Carter, Little Richard, Vanessa Williams, Ben Vereen, James Galway, et. al. He accompanied the incomparable Dame Edna in her hit show, The Royal Tour, at Theatre on the Square in San Francisco. He also accompanied actress Mariette Hartley in her cabaret debut at the Plush Room and has played for Rita Moreno and Andrea Marcovicci as well. He has been musical director for shows at San Jose Repertory Theatre, Marin Theatre Company and Aurora Theatre. Billy also had a long-running spot as the "Man About Town" on the Frank and Mike Show on KNBR-AM. He has led bands of all kinds in numerous Bay Area clubs, cabarets and hotels -- from the Blues to Bar Mitzvahs -- as well as opening for Van Morrison, Maria Muldaur, The Lettermen, Leon Redbone and Flo & Eddie. He has also played with Chuck Berry, Commander Cody and Asleep at the Wheel. He is an actor as well -- Cocky in Roar of the Greasepaint-Smell of the Crowd and Christian in Cyrano de Bergerac -- as well as several commercials. 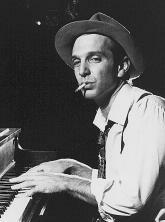 His favorite role was songwriter/actor Hoagy Carmichael in Hoagy, written by Billy and Bruce Dettman. The show has had successful runs at the Zephyr Theatre in San Francisco, Milwaukee Repertory Theater and the historic Coconut Grove Playhouse in Miami. Billy has also recorded a CD of Carmichael tunes, Hoagy and Me. He frequently performs in cabaret with vocalist (and wife) Meg Mackay. They have gotten rave reviews and concertize throughout the country, both in public and for corporate events. The San Francisco Chronicle has dubbed Meg and Billy the "First Couple of San Francisco Cabaret." Billy produced and arranged Meg's two CD's, So Many People and Legally Blonde.